When Rylan announced that he was releasing his book The Life of Rylan, Rich pre-ordered it for me right away. It came out a couple of weeks after my birthday so it was a little extra present. I figured there must be book signings to go alongside the launch but, no matter how much I Googled, couldn't find so much as a hint of one. Then, at long last, I saw him tweet the details of his signings... and there was one at Basingstoke! I live approximately 15 minutes away from Basingstoke and often pop over to Festival Place, where the event was being held. RESULT! On the day, I headed over nice and early since I had a brow appointment beforehand. Unfortunately, when I was on the way, I found out that the person who does brows was off sick so they'd had to cancel. I frantically rushed around everywhere I could think of but nowhere had a free appointment. Nightmare! Eventually, one place said they could fit me in after her lunch break in an hour's time. Only problem with that was it would be just before the signing started. I had to make a tough decision- join the queue with guaranteed chance to meet Rylan in spite of my caterpillar brows, or take my chances and risk missing him. I decided the caterpillars would just have to come with me to meet him. By this time, it was 90 minutes before the signing and there were only five people in the queue. I was worried about being a) 10 years older than everybody else or b) looking like a lemon on my own but, as it turned out, the people in front of me were all older than me and had arrived alone. That made me feel a lot less weird about the whole thing! The wait went surprisingly quickly and, before I knew it, I was standing right outside the door, watching Rylan walk across the shop floor from the back. Then, suddenly, I was next in line. He was sitting in a sectioned-off area and they only let one person in at a time, which meant you could have a proper little chat without feeling part of a conveyer belt. I don't do well meeting new people at the best of times so I was a little nervous but he immediately put me at ease. He said hi and commented on my polkadot dress. I asked if he was going to be on This Morning the following day as I might be on the show (long story, didn't pan out in the end) and he seemed genuinely interested, asking me why they'd contacted me. 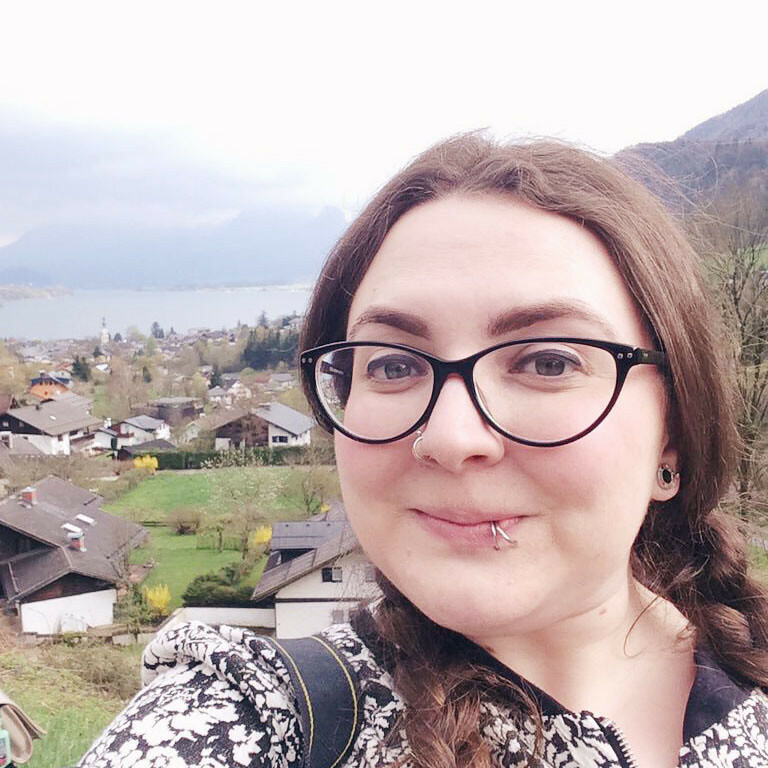 A guy was very kindly taking photos for those who had arrived alone, so he snapped a couple of photos of us before it was time for me to move on. As I left, he called "Bye Bec! Maybe see you in work tomorrow!" which made me feel like his friend!! He was such a genuine, warm guy. Obviously celebrities are always going to be nice at their book signings but, from the admittedly very small amount of time I spend with him, he seemed exactly like he appears on TV- funny, outgoing and really friendly. I'm chuffed to have finally met him and managed not to make a complete fool of myself like I did at the last book signing I attended. Waterstones at Festival Place hold a few book signings and are hosting a Harry Potter party for the midnight launch of The Cursed Child. The shopping centre themselves have some special family-based summer events coming up too. All the information is on the events page here. 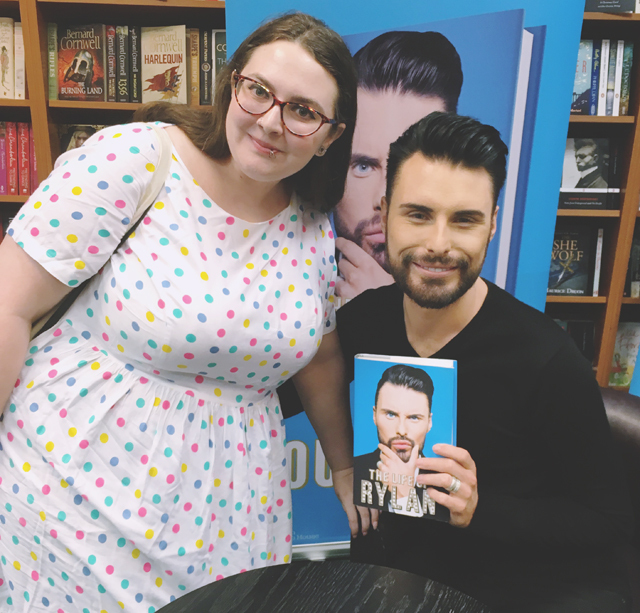 A huge thanks to Waterstones, Festival Place and, of course, Rylan himself for giving us fans the opportunity to meet him. I'm totally fangirling over here and I don't even care. Oh, and I got my brows sorted in the end. Ahhh so jealous you met Rylan!! Aww this is lovely! He seems so nice. oh bless you, nice to hear that he's a nice chap. It took me a while to warm to him but I love him on This Morning now!